Have you ever heard someone say that your vehicle is never the same after it’s involved in a collision? We dispel that myth everyday! Here at Worldwide Auto Body 2 our team is dedicated to returning vehicles to their pre-collision condition with every repair we perform. Every vehicle which goes through our collision repair process, whether it’s a coupe car, a heavy-duty, semi-truck, or a jet ski, comes out looking like you are picking it up from the lot for the first time! Worldwide Auto Body 2 is the largest independent auto collision repair shop in the area. 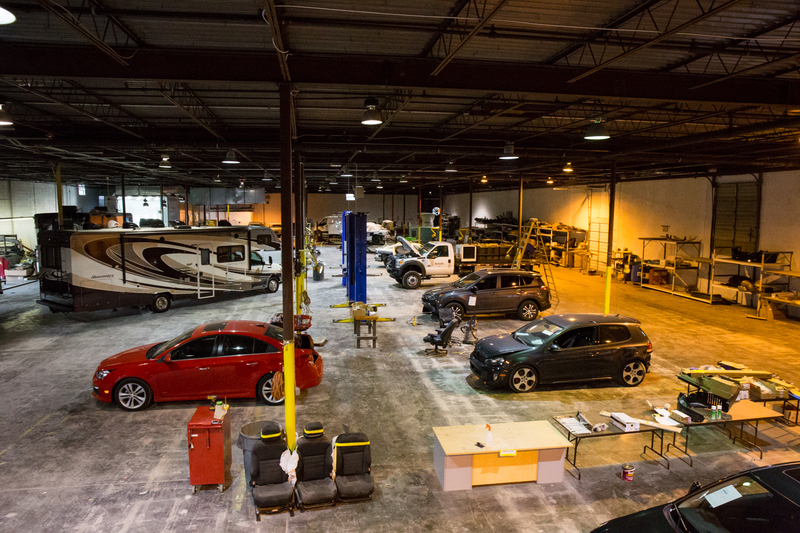 We have 35,000 square feet of workspace which also allows us to work on a variety of vehicles from cars and trucks to 40 foot boats and more! We pride ourselves on being a one-stop shop for many of our clients needs. We can provide them the same high quality service for their cars, motorcycles, boats and recreational vehicles after they have been involved in an accident. Sometimes having an accident is the cost of being an adventurous person. Maybe it’s misjudging a curve when you’re four wheeling in the woods and crashing into a tree, or hitting a neglectful driver who pulls out in front of your motorcycle. 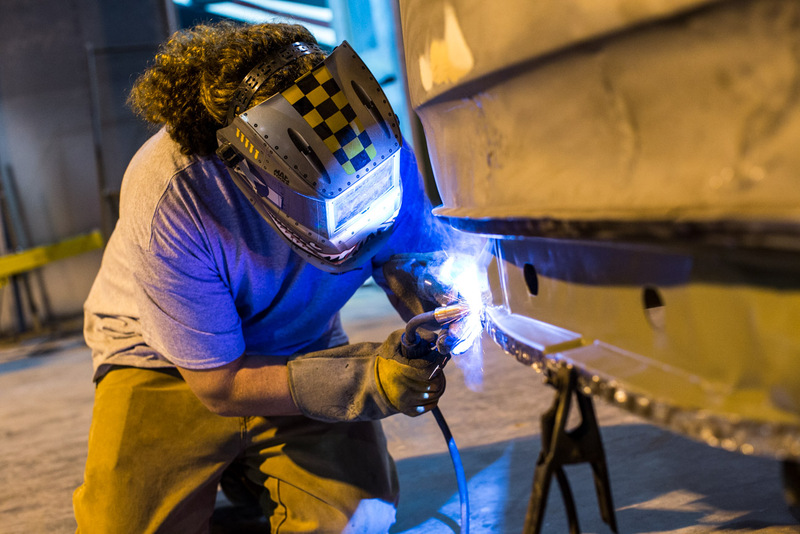 No matter what the circumstances are, you’ll need collision repair for your recreational vehicle. And we don’t stop at those smaller RVs - we also restore campers and buses as well. We work with all types of insurance claims you have for your recreational vehicles and deal directly with your insurance company to reduce the chance of miscommunications to get the job done quickly! 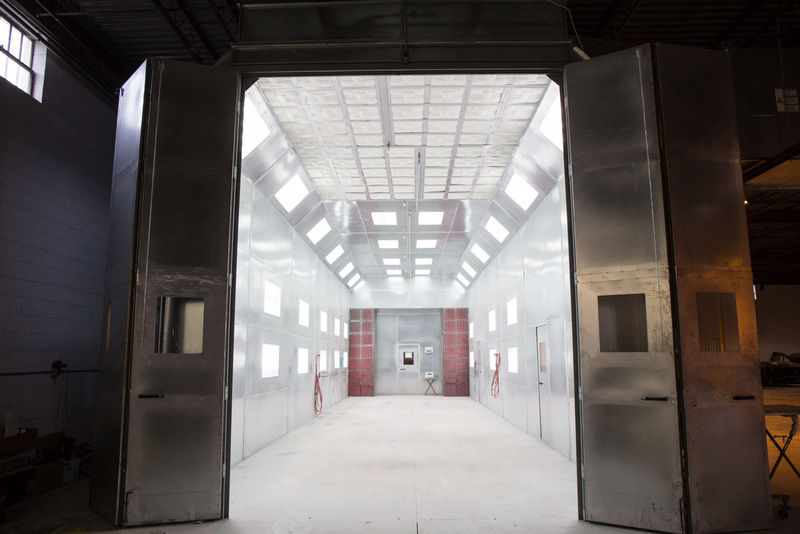 Our 35,000 square foot shop and 60 foot spray booth can accommodate restoration and repair services for heavy duty machinery, like bulldozers, mixers, trailers, as well as fleet and commercial vehicles. We repair your equipment in a timely manner because we know it is essential to your work. Whether you use these vehicles for transportation or for your profession, you can’t afford to go without it for too long without affecting your efficiency. We work directly with you personally or your company’s insurance to make the repairs as quickly as we can. Whether you need your jet ski, small boat, or even a 40 foot boat restored after a collision or accident out on the water, Worldwide Auto Body 2 has the tools (and the space!) to restore it to pre-collision condition. That way you can get back out on the water in no time! And you won’t have the stress of being stuck in the middle between your insurance company and your collision repair technicians. We handle all communications with your insurance company for a seamless repair. Being involved in a car accident, on any level, is disheartening, stressful, and traumatic, but it’s only made worse by the chaos that follows an accident. We know you are working through a scary event, so we make it easy by communicating directly with your insurance company and getting the job done to minimize your stress! 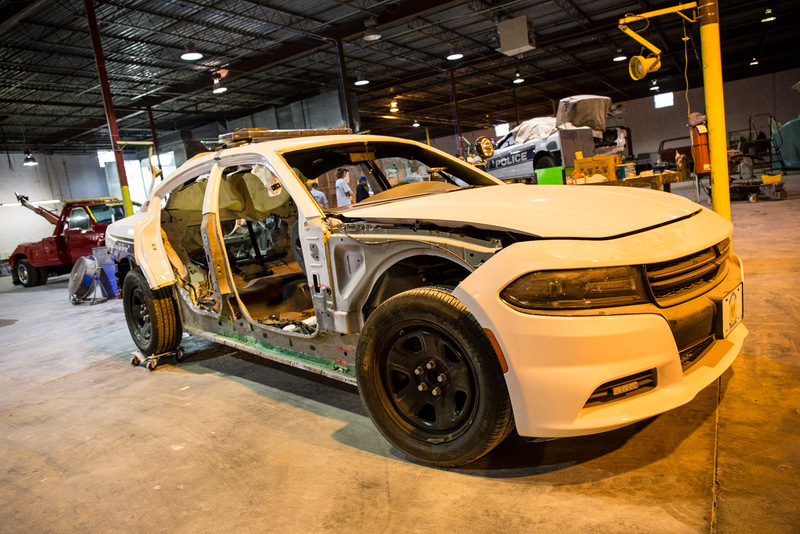 We make your collision undetectable! Staying on the cutting edge and the top of our industry. Being an independent repair facility that provides better service than the big dealers. Contributing to the Winston-Salem community. Providing prompt and professional service to clients. Helping others and being empathetic to their unfortunate situations. Helping others achieve their goals. Treating our clients with one-on-one attention and providing the best repairs in our market area. Ravi’s automotive career began early, when he was only 13, and started working at his Uncle’s shop in Northern Virginia. From there, his automotive experience only grew, but he’s always stayed in the Collision Repair industry. He spent many years as a painter and has worked his way to ownership, having owned two collision repair shops in Maryland. Through all his years of direct automotive experience, Ravi earned a reputation for being an expert in the collision repair industry who offers high quality customer service. Ravi is known for being on the cutting edge of industry technology and for providing his clients with knowledgeable service. He walks them through every step of the collision repair process and is dedicated to returning their investment to pre-collision condition as efficiently as possible. For years, Ravi and his wife traveled down South to the Charlotte Motor Speedway for the Coca Cola 600, which they are season ticket holders for. Eventually, their love for the region convinced them to move here! When Ravi’s not helping clients restore their vehicle to pre-accident conditions, you can find him on the lake, fishing with his wife on their boat, cooking on the grill (or cooking in general! ), watching NASCAR races, going to concerts, or volunteering with local nonprofit organizations. The Persad family supports Holt International, Feed the Children, and Operation Christmas Child every year. He has passed on his passion for cars to two of his children, who work full-time in the automotive industry as well! Ultimately, Ravi is motivated by keeping up with an ever-changing industry and training the next generation of professionals in the field. Christine recently left a career of 30 years in Nursing, most recently as Director of Nursing in Long Term Care to join Ravi at Worldwide Auto Body 2. She manages the front office and scheduling. Her desire to move to North Carolina was not only prompted by years of visiting but also by having a granddaughter nearby in Raleigh. She enjoys the water and boating also, but most importantly is spending time and making memories with her granddaughter and family. A -Tech Refinish - Refinishing, fiberglass, gel coat, Waterborne Certified. Trust that you can depend on our integrity. Worldwide Auto Body 2 offers a 10% Military Discount for those actively serving and Veterans. We also offer a 10% Senior Citizen Discount upon request. Call us at 336-992-5678 or fill out the form below to begin the process of restoring your car, truck, recreational vehicle, marine vehicle, heavy duty machinery, or commercial vehicle to its pre-collision condition quickly and efficiently! Website Designed by Nu expression of Winston Salem.